Healthy Cheesy Potatoes are a lighted up version of the traditional dish. These cheesy potatoes with Greek yogurt cut fat and calories, not flavor. 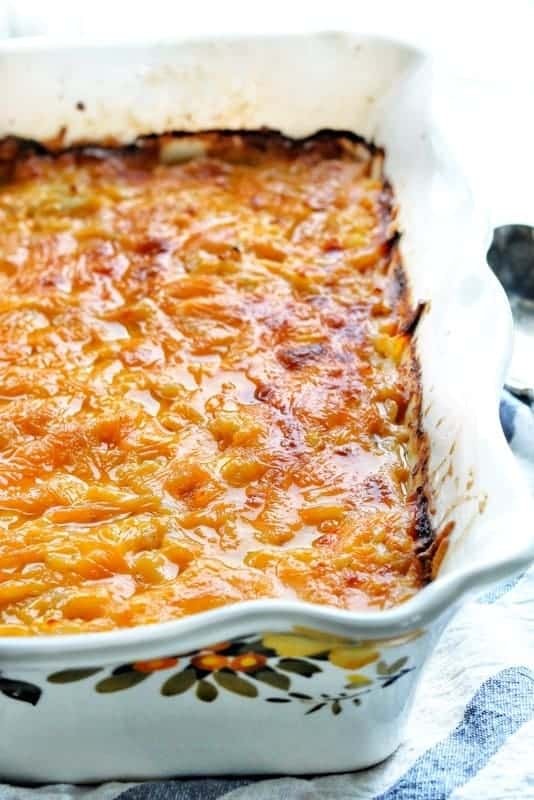 I have been working on a lower fat recipe for a long time, tweaking it to make it just like my families favorite – and I finally got it right. Healthy Cheesy Potatoes is full of flavor without all the fat and calories. The best part? They are super easy to make! 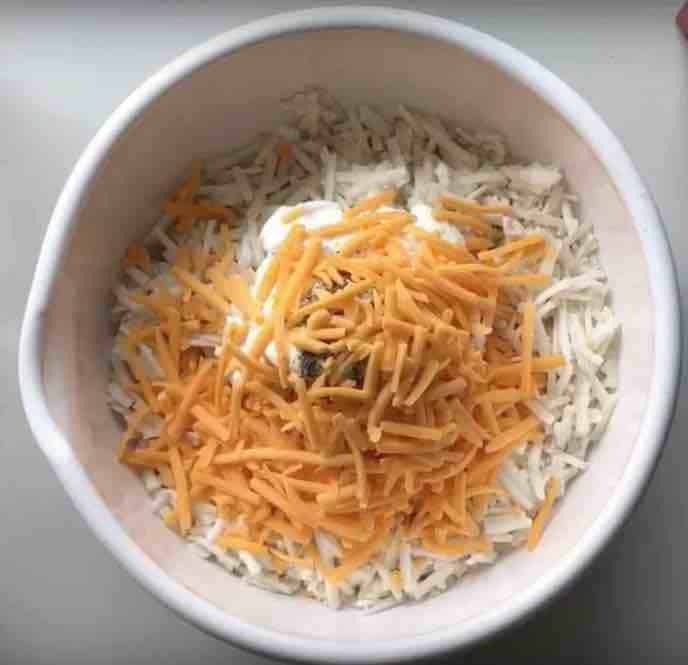 How Do You Make Healthy Cheesy Potatoes? In a large mixing bowl, add hash browns, chicken stock, milk, greek yogurt, cream cheese, and spices. Add shredded cheddar cheese then stir well. 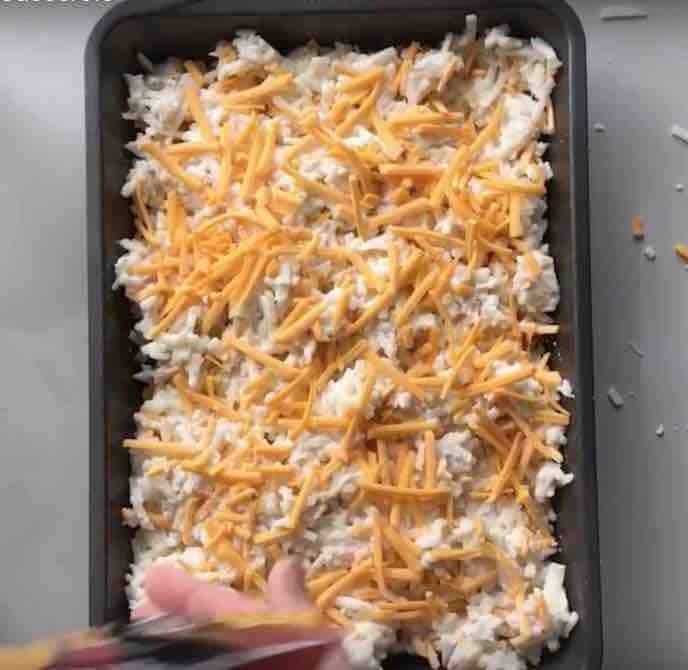 Spread hash brown mixture into a 9 x 13-inch baking pan. Top with remaining shredded cheddar cheese. Bake 350 degrees for 1 hour, or until cheese is melted and bubbly. Serve immediately. Garnish with green onions if desired. 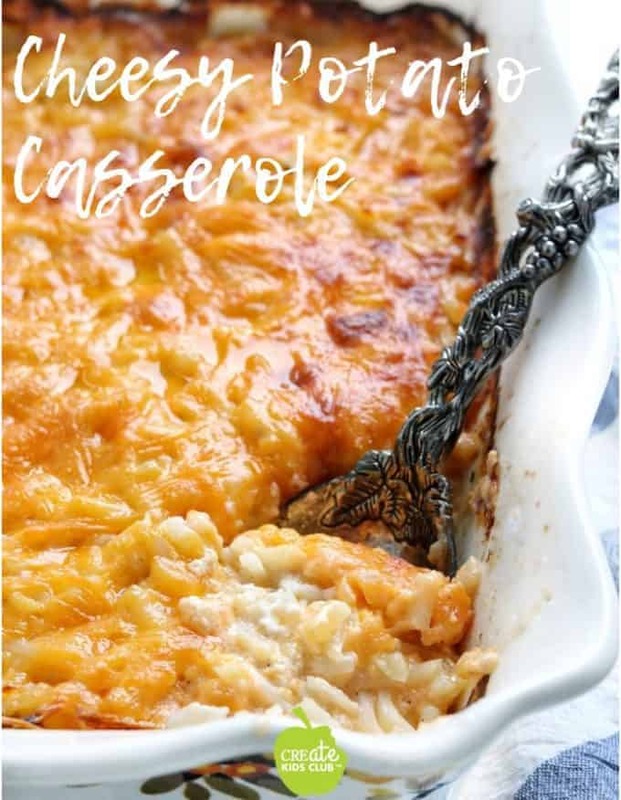 Watch to see how simple this cheesy potatoes casserole are to put together in the video. Check out more recipes with potatoes here! 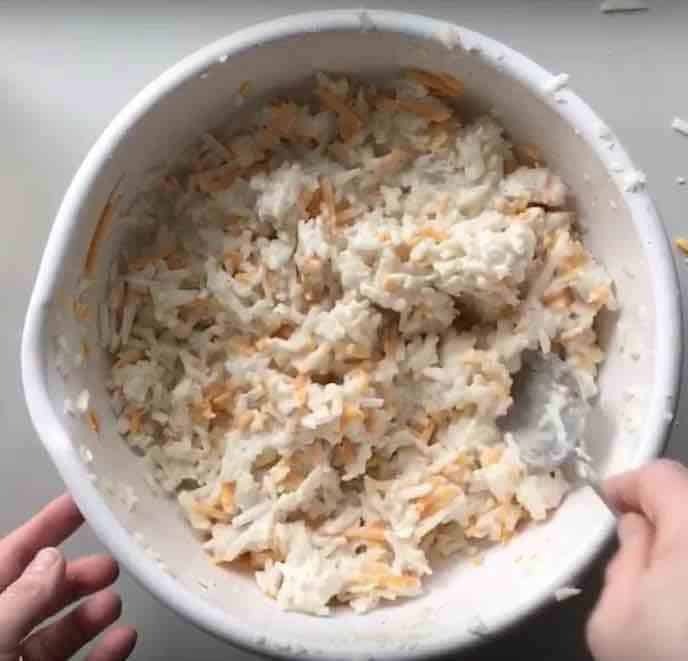 Head over there if you’d like to see the Traditional Cheesy Potato recipe my family enjoys. You can see where the healthy alternatives like Greek yogurt and no butter come into play. Do you love the pan I used? Here is a similar casserole dish. A delicious side dish recipe that is healthier than the traditional full fat version, yet just as tasty. There are affiliate links in this post which means if you were to purchase something through the link I would get a small commision. This does not cost you anymore, but does help support Create Kids Club. Thanks so much! My family would be very very happy if I made this for them 🙂 It looks delicious!! Thanks Aggie – mine are always very happy on the occasion it appears on the table! OMG My family LOVES this recipe! 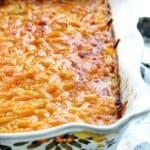 I was just telling someone about it and they asked if it was “funeral potatoes” Love this lightened up version! This looks like it would fit right in at a potluck here in the midwest! Do you ever post th nutrition facts information for your recipes or do I just not see it? Love the recipe modifications though! Hi Arica! There are some recipes with nutrition facts, but it is an area I need invest more time in. 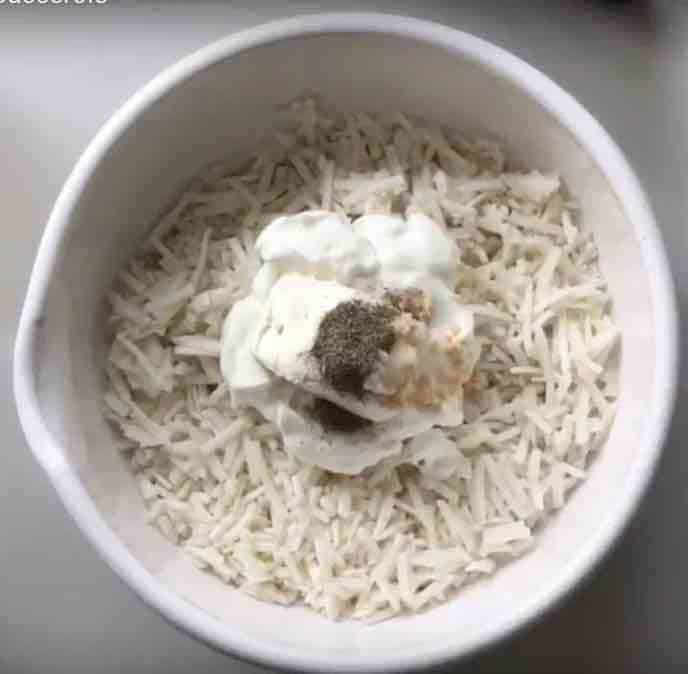 Thank you for the reminder that it is an important part of recipes – I have been planning on getting software to do this for me and just might go ahead and do it 🙂 I do hope you enjoy this recipe though, it is delicious! These are requested all the time!